Whilst some of us enjoyed watching England, and in particular watching our own players shine during the international break, clearly a start for the talented Hudson-Odoi doesn’t excite everyone at Chelsea, so he’s unlikely to need his boots on as early today. Saying we’ve struggled away from home this season is like saying Teresa May has struggled with Brexit – it’s so old hat, it’s sleep inducing now – so whilst a fifth defeat in six away is unthinkable, it’s hardly unlikely. Cardiff’s hopes in the league might be slim but they had a win against West Ham last time out and they’re exactly the sort of side we deal with badly. Sarri is like a 14-year old boy when it comes to doing his homework, so you could put money on him questioning post-match why we started okay but fell apart second half, despite 71% of their points being won at home and 17 of their last 21 top-flight goals coming in the second half this season. It’s in his hands today – and that’s what worries me! Chelsea head coach Maurizio Sarri meanwhile, says “We are working well in training, the only thing that is important is the reaction during the match. 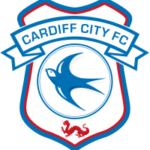 They (Cardiff) are physical and dangerous in the opposition match. We need to defend very high and far from our box. Otherwise it will be a problem.” As for his comments on CHO, we’ll give them a miss. For Cardiff, Callum Paterson (ankle). Sol Bamba (knee) and Matthew Connolly (ankle) are all out. The game will also come too soon for Jazz Richards. For Chelsea, Ruben Loftus-Cheek and Ethan Ampadu both have back problems although realistically, neither of them would have started anyway. Davide Zappacosta’s ankle problem will be assessed, presumably to see how he’d handle spending the game on the bench. Callum Hudson-Odoi unfortunately, will be lucky to get more than a 15-minute sub slot despite impressing for England in Montenegro. Cardiff have not beaten Chelsea in the top flight since 1961. Cardiff have lost 16 successive Premier League games against the sides currently in the top six since November 2013. A win would give Cardiff their highest Premier League points tally. Cardiff have scored 17 of their last 21 top-flight goals in the second half. Chelsea have lost six of eight Premier League games this season when they have conceded the opening goal. Chelsea have lost four of their five top-flight away games in 2019. Chelsea have not kept a Premier League clean sheet outside of London since October.